Over the last few weeks, I’ve been speaking to many teachers about educational blogging. Sometimes I feel like I live, breathe and dream blogging, so talking on this topic isn’t hard! Kelly Jordan and I were so pleased with the feedback from our DEECD Innovations Showcase and ICTEV Conference presentations. This has led to many follow up conversations and even a presentation via Skype to staff at Edna Sackson’s school. How do you integrate blogging into your curriculum? 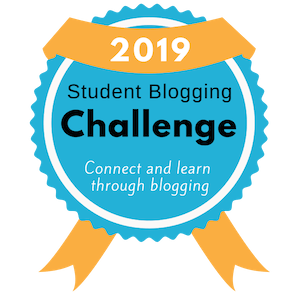 This is the fourth year I have been blogging with my students. For the first couple of years, I just fit blogging in wherever I could find time. This might have been a few minutes squeezed in during transition times or while the kids were eating their lunches. I soon realised this was not the best way to unleash the full benefits of blogging. Like all new ways of working, blogging needs to be prioritised and planned for. It then becomes a habit and the true benefits are realised. Kelly Jordan and I team teach in an open classroom with 43 students and 10 computers. We don’t have the luxury of a 1:1 program or bank of laptops. We use whole class, small group and rotation structures to make blogging work for us. This is what blogging looks like in our classroom. look at one of our blogging buddies’ blogs. We never know what we’re going to learn! look at our ClustrMap and discuss place value and geography. This is the lead in to our Literacy Block so we draw in elements of literacy. If we’re focussing on paragraphs, capital letters, full stops, adjectives or whatever, we’ll talk about this while looking at blog comments. A student reads out the coment she wrote at home. Like all junior primary classes here in Victoria, we have a two hour Literacy Block each day. Read more about it here. Every week, one of the activities students complete is blogging on the computers. We call this “working on writing” as it is an authentic way for the students to be practicing their writing. Update: check out this 2013 post on blogging and the literacy curriculum. We’re at a big school where, due to timetable restraints, our Grade Two students only have specialist ICT classes for the second half of the year. Luckily there are some hours in the computer lab free each week so Kelly and I take our students there once a week. With 43 students it is generally one computer between two but it is a great way to have a focussed blogging session and the students get a lot out of working with a friend. We have a different focus each week but it often involves responding to a certain post on our blog or our blogging buddies’ blogs. Because blogging is so ingrained in the daily routine in our classroom, our students often ask us if they can blog when they finish their work. I think it is about creating that culture in your classroom where it is a regular way of working and not an add-on. Blogging for the sake of it or trying to blog on top of the regular classroom curriculum just isn’t going to work. We have a crowded curriculum! Find ways to embed it into what you are already doing. The first place to start is your Literacy Block as blogging is all about literacy. I’d love to hear how you do it! Great Post! Great to see IT being used authentically and for a purpose! Keep up the unbelievably great work! @ Corrie, thanks! Really appreciate your support. You have clearly explained how you fit blogging into the life of what must be a dynamic infants classroom. I can’t wait to share this with some of my colleagues who sometimes struggle to work out how to fit it all in. Thank you for mentioning my post too. Interestingly I also work as a team teacher, we open our doors and work together with 55 students. I am sure sharing the workload allows us to think and work more creatively together. @ Henrietta, it is great to combine our perspectives as everyone has different ways of making things work. I really hope the readers of this post check out your post too. It is fabulous to hear that you team teach as well. We just love it and I think the kids get so much out of our combined approach. Thanks for you comment! @ Andrew, so great to hear from you, and what a thoughtful comment! It was really interesting to hear that the need for culture exists across various technologies. I think you are 100% right. The true benefits of whatever tool you are trying to implement are just not realised until that culture is created. Persistence is so important! Many teachers I know are too quick to give up. I really appreciate your comments on this! It’s wonderful how you made bloggig an integrated part of the curriculum. I have done the same with adults in Mexico. I am very curious. Have you ever noticed that your cluster map shows that the majority of reponses comes from countries where there exists a literacy culture? I have discovered that working with adult teacher-trainees in a culture that does not promote reading and writing as much as in other countries, that few of my students have developed writing habits, or a love for blogging. I used blogging in my classes to 1, set up an online class-oriented disucssion on topics we study, where posting and commenting is part of the ‘fun’; 2, to create a local PLN for trainees when they finish the course and are teaching in their classrooms. Hopefully from there they will be able to build an international PLN. My students see blogging as an obligatory task to get through. @ Ellen, it’s great that blogging is something that can be done with young kids right up to adults. Good question about the ClustrMap. There are definitely far more visitors from countries like Australia, UK, USA, New Zealand and Canada. I think you’re right, it might just be about that reading and writing culture. That is what blogging is all about after all. It is a shame your students see blogging as simply an obligation. I admire your persistence with blogging. You are doing a great job! Your work and documentation of blogging is inspirational! I have now begun the journey into blogging and am excited. @ Raff, thanks for you comment. So happy to hear that you are going to start integrating more blogging into the Catholic system. Look forward to hearing how it goes. We have the laptops in our kindergarten classroom for an hour and 15 minutes a week throughout the year. At the end of the year we have been writing (on paper) for several months and have lots of drafts. A few weeks back I introduced the kids to Super Hyper Spider Typer, an online free program that helps them search for letters on a keyboard. We now start every session with 10-15 minutes of that game. Then they pull out the writing folder and grab a recent story that they would like to add to the Kidblog site everyone has. It is a very productive time, even if the work isn’t ready for sharing with the world. They are learning about spacing, punctuation, following the clicks for moving around the site, and best of all gaining confidence in their blogging. @ Gail, thanks for your comment. I always like hearing what other teachers get up to. I haven’t heard of Super Hyper Spider Typer but I am looking that one up right now! I really want to incorporate more typing practice into our classroom. Sounds like your kindergarten kids are getting a lot out of your sessions. Well done! This year I’ve definitely found myself at that stage of trying to fit it in whenever we can. We didn’t fully start our blog until December so it’s been new to us as a class and has definitely been a learning experience. I definitely love your ideas on how best to integrate it into your everyday classroom. It’s great to see that way that it can be used for multiple subjects. I know from my experience this year that it definitely engages the students and has improved their writing skills drastically. @ Shawn, always nice to hear from you! For a fairly new blogger, you have done an amazing job! You are an example of what can be achieved when a teacher is passionate about something. It is contagious! Look forward to seeing how your grade six kids go with blogging! You are absolutely right. Blogging should not be an add-on to an already full plate. Thanks so much for sharing your experiences and ideas. I am passing your post along to the teachers I work with. @ Ms Sanderson, I’m so glad you enjoyed the post. Thanks for your comment! Great blog post! It’s very important to get children involved with blogging and online articles, as it is such a big part of life today. You may enjoy these blogs by teachers working in the UK, some of which trained in Australia! They are full of stories about UK classrooms, as well as teaching resources and much more. @ Cordelia, thanks for the link to your site. That might be of interest to some readers. Thanks for this interesting post. I too am convinced that a blog is a great way to communicate. I’ve only been blogging with my class for a year, but they love it! To make sure that everyone can write a post, the students have a ‘blogbeurt’ – I’m from Belgium. Each week one, two or three students volunteer to write something about the past week. We also work with drawings, music, games, work sheets they can print at home… But some more ideas are always welcome! @ Juf, thanks for your comment. Nice idea with your “blogbeurt” I haven’t heard that word before but getting kids to take it in turns to write up posts is always a good idea! As usual, what a fantastic post and a wealth of information there. 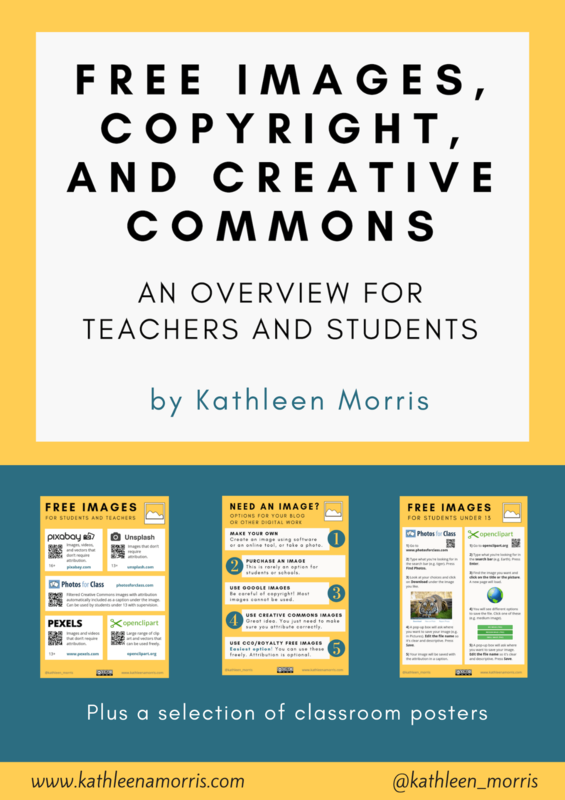 It is like a one stop shop for blogging in the classroom. I will be checking out all the links to make sure I haven’t missed anything over the past year. I will also be passing the link on to every teacher I know! It is amazing how your enthusiasm for blogging causes so many chain reactions of blogging around the world; your students and parents of course,and your colleagues. You inspired me personally, first at LPS with 5DB and now my own blog at PLPS. This blog has inspired our sister school in Spain to set one up and even 2 students. Your passion is infectious, keep it up! @ Aine, thanks for your support. Wow, that is amazing to think that i have influenced so many other bloggers. That is just terrific. I wish all teachers and students were into blogging! Your passion is infectious to so keep that up! As so often before you are ‘bang on the money’, with your view that quality blogging has to be integrated into classroom practice. I am a Headteacher now and do not have a regular teaching commitment. When I was a teacher I had an uncomfortable relationship with ICT. So now I wish I had a class! Instead I steal children from others and today we are skyping Techie kids, USA. I would like to share with you two new blogs that your philosophy has inspired. http://www.middlehampri2.posterous.com Catherine has produced this quality blog almost out of thin air. She has transformed her practice in three months, her children are now beginning to ‘think blog’. Her enthusiasm and commitment are tremendous. http://www.middlehampri1.posterous.com is my wife’s blog. A complete non-techie teaching children aged 4-6, she now understands the value of a blog being a two way window. Sharing with Mrs Watson in Canada and then being visited by parents, lovely. The only problem being we had to buy a second computer at home! If you could leave them a comment it would blow their socks off and would demonstrate how much can be achieved very quickly, not by specialists! I don’t know where you find your energy or time, we are all very glad that you do. @ Mr E, thank you so much for your kind words. I can understand how frustrating it must be for you without any students of your own to work with! I’m glad you steal some 🙂 Great to hear that you have been working with the Techie Kids. They are also blogging buddies of ours, as are Mrs Watson’s class that you mentioned. I think it is terrific that there is a really strong (is not fairly small) circle of really keen educational bloggers out there! I will try to check out your wife’s blog and Catherine’s blog when I get a chance. Thanks for sharing. I always appreciate your support! What a great post and I loved tracking all the comments. Like Sean, we only began blogging this year, in January, and I “fit it in” quite haphazardly. But as I examined “expert” bloggers, like your class and others on your blog roll, I learned how to integrate it better as a natural extension of our thinking. Thank you so much for all the tips and the great example via your class blog. Although I’m off for the summer, I’ll be lurking! Thanks for your comment! Rest assured, when I first started blogging it was very haphazard too. I think you probably have to start like that though. Great to hear you’ve got some more ideas on integrating it into your curriculum! Lucky you with summer coming up! I was lucky enough to attend a workshop on the last day of the 2011 Vitta conference and see you two fabulous teachers speak about how you use blogging in your class. What really struck me is the obvious thought and planning that goes into how best to use your class blog to improve your students’ learning. Despite initially being ‘haphazard’ one has to start somewhere, and I commend you both for not pretending to have all the answers, but embarking on a path that benefits the students and no doubt impacts the way you think about education as a whole. I imagine that this means you are well prepared for future educational innovations and with this attitude will always strive to learn and to provide the best learning outcomes for your students. Thanks so much for taking the time to leave a comment. Kelly and I both really appreciate your kind words. You’re right, we didn’t know all the answers when we first started (and we still don’t) but we have found the blogging is certainly worth persevering with. The amount the kids get out of it is just can’t be compared to any other tool we’ve used. I have integrated blogging into my classroom by making it a part of our Daily 5 “Work on Writing”. The students work on writing during our literacy block and use the traditional writing process. After conferring with me, they are ready to publish on their blog. I have found that the students are more engaged and interested in their writing because they know they have an audience and they are writing for more than just the teacher. I teach 2nd grade so I really feel that using the writing process is important – eventually when they are older, they will be able to sit down and do the process right on their blog like we do. What do you think? We also call our blogging in our literacy rotation ‘work on writing’ as part of our Daily5/CAFE program. Our version of the program is very modified and you can read more about it here on my team teaching partner’s blog. The post is from a year ago when we were teaching grade two although we’re doing similar things in grade four. I think it is a great way to incorporate it into your curriculum. Thanks very much for your comment!